Our school offers a huge range of sports and clubs and co-curricular activities. We encourage our international students to take part in as many of these as they can, as it’s a great way to make new friends. At Pakuranga College, we offer New Zealand’s National Certificates in Educational Achievement (NCEA) Levels 1-3. These are high school qualifications that are recognised around the world. NCEA offers excellent flexibility and students are able to study at multiple levels to accommodate their abilities. When you arrive, we will help you to choose from a wide range of subjects to create a learning program that suits your interests and goals. The availability of some subjects depends on the time of year and the number of students in each class. However, you will see that we have a wide range of options. We also offer a comprehensive ESOL program at all levels. Our popular Outdoor Education programme includes sailing, kayaking, orienteering, mountain biking and scuba diving. 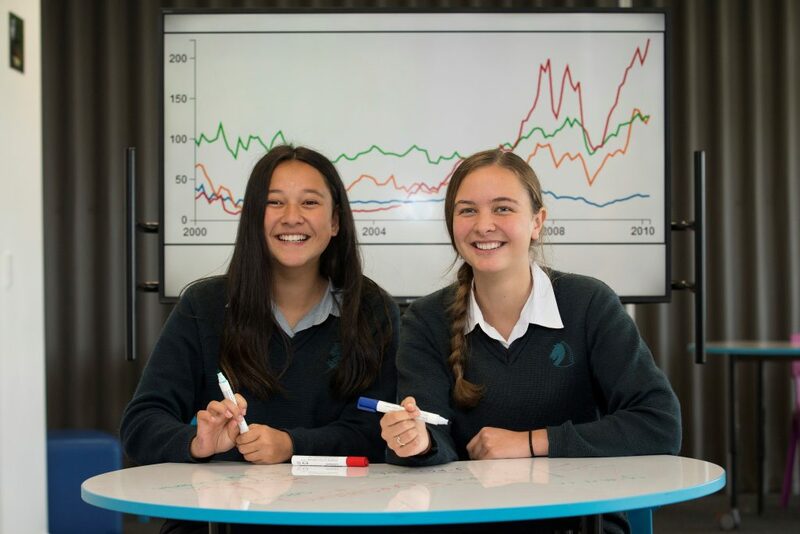 Pakuranga College is a leader in the use of digital technology and students should bring their own digital device, such as a laptop or ipad for use in class. As soon as I came to Pakuranga College, I felt a part of it. In this big family, everybody is friendly and warm. My friends and teachers helped me to improve my English, even though I could not speak well. It has been an awesome time. I really enjoyed the school life at Pakuranga College; it was so much fun and a new experience. I found many new friends and I will definitely keep in touch with them all. This has been the best experience of my life. I have been given many opportunities to both improve my English and to attain my dreams. Everything was perfect. Pakuranga College has a great learning atmosphere. You get lots of support from the International Office and we have great homestay families. Pakuranga College is amazing! Pakuranga College, my host family and my friends in New Zealand changed my life.